To get your computer problems solved. non-toxic, non-staining, biodegradable and germicidal formula for cleaning all computers and peripherals. 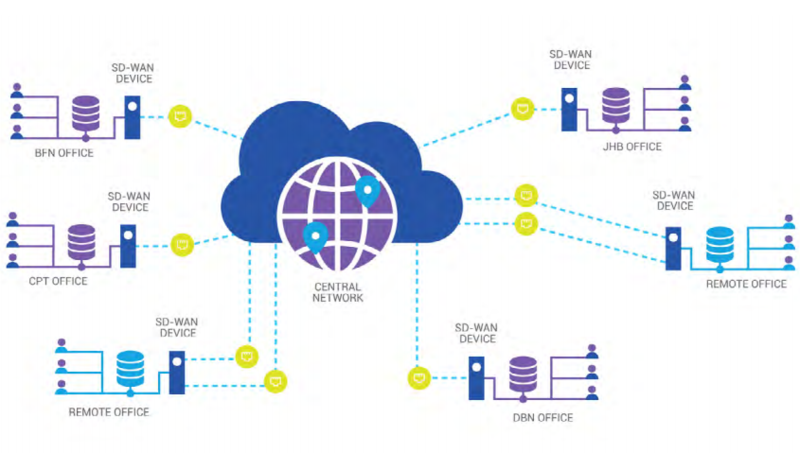 SD-WAN NETWORK THE SECURE CLOUD-DELIVERED NETWORK INFRASTRUCTURE FOR YOUR BUSINESS. We can move your old onsite server to a new cloud server service over a weekend. The fact that we still refer to this type of software as "antivirus" is out of date. No longer do we have to be worried only about nasty viruses infecting our computers and wiping out our personal data. Malware is perhaps more common today, with a different tactic to achieve a still-nefarious goal. The worst part is that the "best" malware — if you can really even call it that — will quietly sneak its way onto your PC without you knowing. It'll maybe lie dormant, hidden from view, but all the while do something that you don't want it to. Whatever the term for it, the threats out there are still very real. Clipper is a Time Management Tool with Help Desk and Ticket Logging system built in. It is a Web Based application that we developed in-house to log our support calls. Anyone is welcome to use the software FREE of charge. Ticketing and Help Desk management system. Is a Web-based platform and all you need is a Browser to get started. It has an internal messaging/chat interface. Direct internal problem logging button. Messages goes to the development team. Customize your solution configuration setup. Clients GPS Coordinates entered and view map of client's location. Can run reports like an Incident report for clients detailed information with logged hours and for billing. With the Task Management System you can setup your own Check Lists. Then create an automated step by step Task Check List that you can access and complete from any mobile device with Internet access. Clipper offers email notifications when tickets are created and changed. The system updates customers with email & SMS alerts and escalations. Management can run staff performance reports with the help of the built-in help desk reporting engine. You can monitor technician status and details of the service fulfilment indicators. Access from any mobile device with a basic browser and Internet access. Free onsite training within 100km from our offices or via the Internet. We backup all your data free of charge. All you need is a Browser to get started. No need to install and software on your computer or to setup a server. If you are looking for a way to backup your data we have a solution for you. We have our very own servers placed in the Cloud that you can backup your date to. Install the client software on your computer. Link the data you want to backup and sync. Then your data will be copied to our Cloud Servers and synced from that point on. Your data is synced to the Cloud Servers real time when you are connected to any Internet access in the world. When you make a change to a document as you save it, it gets synced to the Cloud Server. If you are offline so not connected to the Internet as soon as you do connect all your changes will be synced to the Cloud Server.